The result was ok, but that does not tell much. Suffering on the bike was the main theme of the day’s race. I suppose there could be many small reasons but the main reason is that I do not have a deep cycling fitness. I had trained equally infrequently for swimming and running but those two results were pretty good; I was actually pleased with my swim. For the bike though, I was displeased to say the least. Holding 200w hurt. For the first lap I didn’t bother looking at the computer but after a while it seemed that people were passing me on the bike at a faster rate than normal. I then thought -and hoped- that my brakes were rubbing or there was something wrong with the bike. The after-race inspection revealed no such problems – the bike was in as good a shape as ever. I’m not going to over analyse it because despite all the small reasons for under performance, the fact is that it was not really an ‘under performance’. I performed to my fitness. I’ve been trying to get organised since I returned to work after over five weeks holidays; It’s proving more difficult than I expected. Training, Working, Family life and updating this site are far from integrated into my daily life. Must try harder! Sunday is my last real race of the season and I don’t feel prepared. I feel ok for the swim and the run but my bike power was pretty low during my test spin two days ago. Holding power above 200w on the flat took considerable effort whereas during my first race of the season I had to hold back to keep the power at 210w. Try to hold 210w for the bike leg – keep it below 250w on the hills. Run, run as fast as I can. After testing my foot during the week I decided to do Midnattsloppet on Saturday. With only two runs in seven weeks under my belt I entered the race 100% convinced that I had no chance of going under the 40 minute barrier. Not only did I go under 40, I actually scraped under 39 in a time of 38:58. I’m more amazed than happy but I believe that the result came from a very good running base this year combined with -dare I say- excellent pacing! Next week I have Stockholm Triathlon (Olympic Distance) to finish out my season. I’m then going to get to the gym few months and hit pre-season strong. No chasing 10km PBs in October for me. Took them both at a similar effort. One day later the pace improved by five seconds per 100m. This is not fitness at work – this is feel. I wish running was like that! Tomorrow I face a challenge. I am entered in a 10km race and have ran exactly two times in the past six and a half weeks. I was pretty fit during my last injury-causing run so I at least have that to my advantage. How much fitness did I loose? How much benefit did I get from the two runs I did manage during that time? I fear (but can’t accept) that I will go over 40 minutes for the first time in YEARS. This is a fact that I still can’t accept. I’m hoping to get a small springboard for Sala Silverman Half Iron distance triathlon one week later. The alarm chirped. I turned it off and lay in bed for longer than normal; I was convinced that putting weight on my foot was going to cause pain. The severity of the pain I ‘knew’ was coming would determine how my season would end. Today or within the next two weeks. Had there been some pain I would have been faced with the choice of ending my season today and addressing the problem; doing one more race and then addressing the problem. As it turns out, there was no pain and I’m still left with a dilemma. Is the foot 100% recovered? Can it take a 10km race and then a Half Ironman the following week? That’s what I want to do and that’s what I’m most likely to do; run the 10km and risk it. 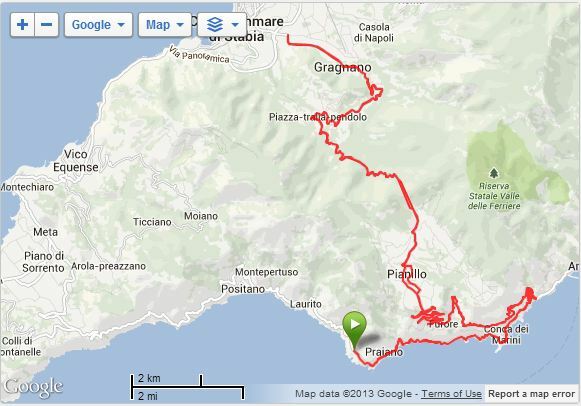 During my holidays I managed to get out on the bike four times. Back from holidays and need to catch up on training. I tested the (left) foot again last night and it seemed ok. It felt strange though – which is not good. Today there is no pain but last time I tested it the pain only came after two days… 36 hours of waiting until I know. 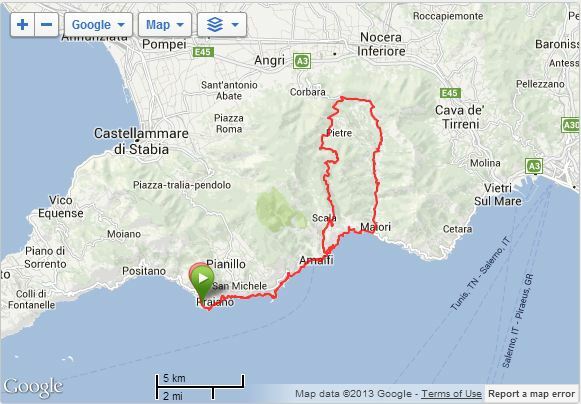 I’ll write a post about my Italy cycling later on.